It’s not much, that beats, crawling into a freshly made bed, after a long warm bath. Love bedtime! Frodo is so selfish! 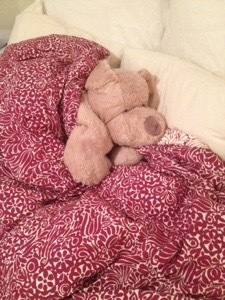 Sometimes I sleep with my Cry Baby Bear, who is 53, when I need cuddles!